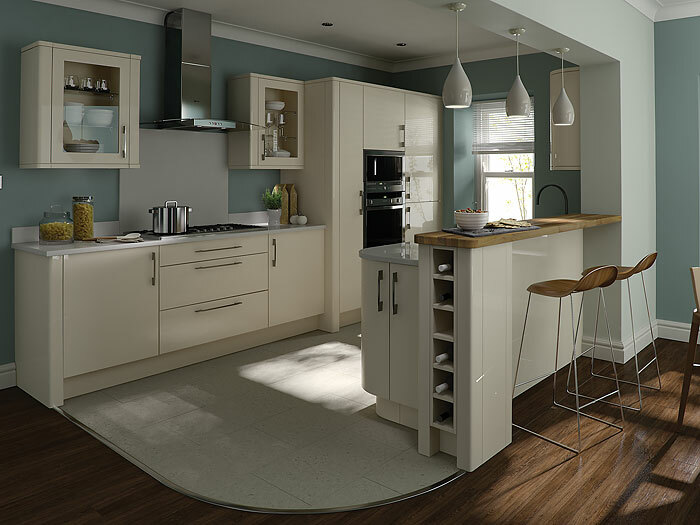 Complete Kitchen - Porter White Gloss with Dark Walnut Side Panels, Plinths and Worktops. 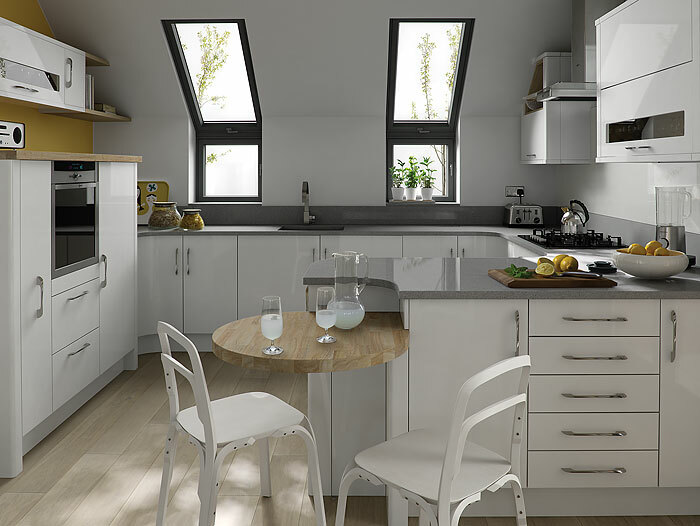 Complete Kitchen - Milbourne Almond with Grey Worktop and Matching Sides & Plinths. 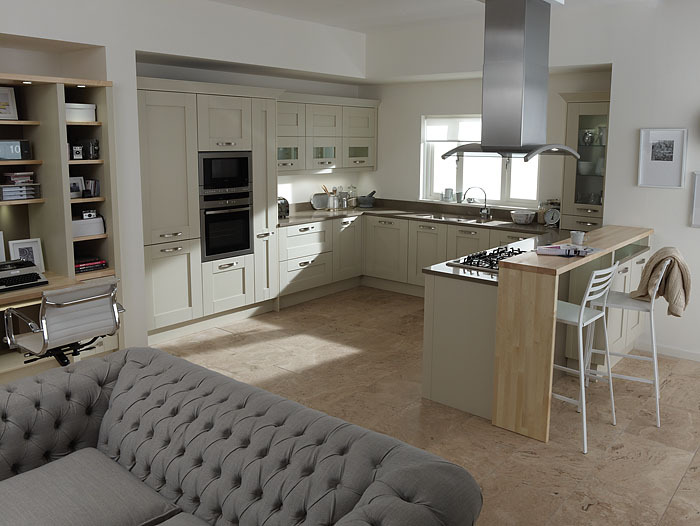 Complete Kitchen - Porter Alabaster with Dark Walnut Side Panels, Plinths and Worktops.